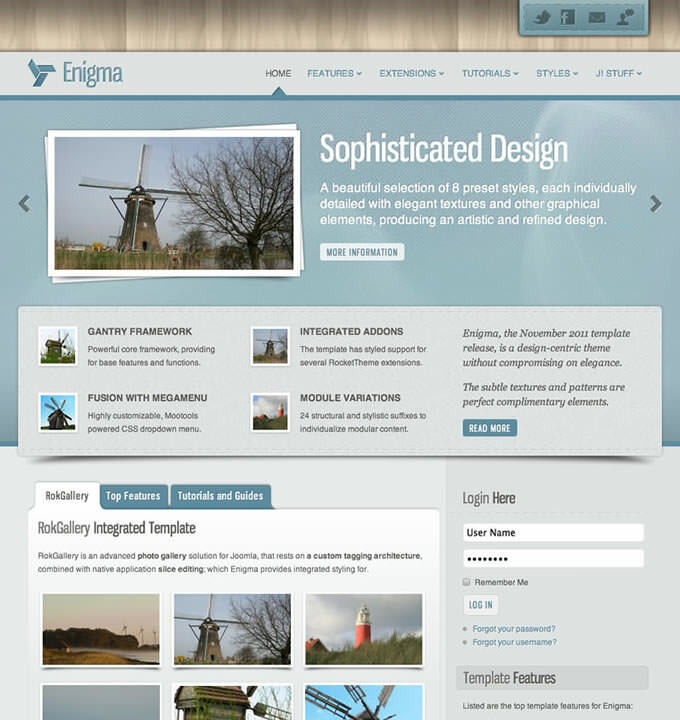 Enigma provides an easy to use and visually elegant solution to integrate social, a pillar of modern sites. Configure Facebook, Twitter, Google+ and RSS options. The icons appear in a the header area in a textured graphic, as configurable.